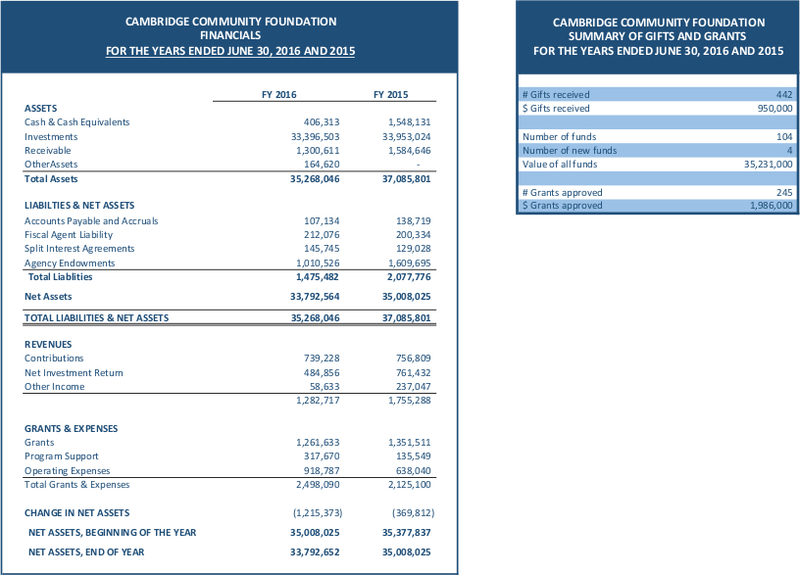 Cambridge Community Foundation is pleased to partner with nonprofits that support an equitable, socially just and culturally rich city. Cambridge Camping Association (CCA) is one such organization. This year, CCA is celebrating its 125th year of giving under-resourced urban kids a camp experience. According to Executive Director Sharon Zimmerman, the organization has been sending kids to camp for longer than women’s suffrage and the Ford Model T have been in existence. “Camp is where children play, learn, build confidence and make friends for a lifetime,” Sharon says. 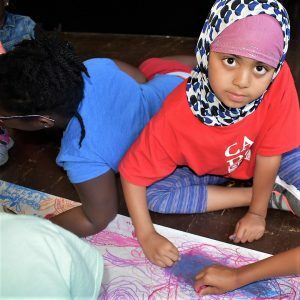 “All children deserve the opportunity to experience the magic of camp.” Such continuity and dedication to Cambridge through the decades is impressive, and those who have stayed with Cambridge Camping over time stay committed to the organization’s growth. Taylor Cole started camp at 9 years old and grew up attending camp each year, rising up in the ranks from junior counselor to CIT. Now, at the age of 25, she serves as the assistant director of Cambridge Adventure Day Camp and just completed her master’s in social work from Boston University. Taylor shared that when she became a mom, she was still in high school, so she was nervous to return to camp, but the camp counselors contacted her and coaxed her back. She’s full of praise for the camp and knows its power firsthand. The day camp is extremely family-oriented. Avanell Peters works at the day camp and also sends her children there. “I want them to be able to experience, know different people, different backgrounds, different culture and they get that here,” she says. Cambridge Adventure Day Camp is the organization’s 50-year-old daytime adventure camp, serving 100 kids each summer. CCA also runs Daybreak, which serves 40 kids with social, emotional and behavioral health needs. A school-year program by the same name runs on Saturdays and was piloted this past spring. 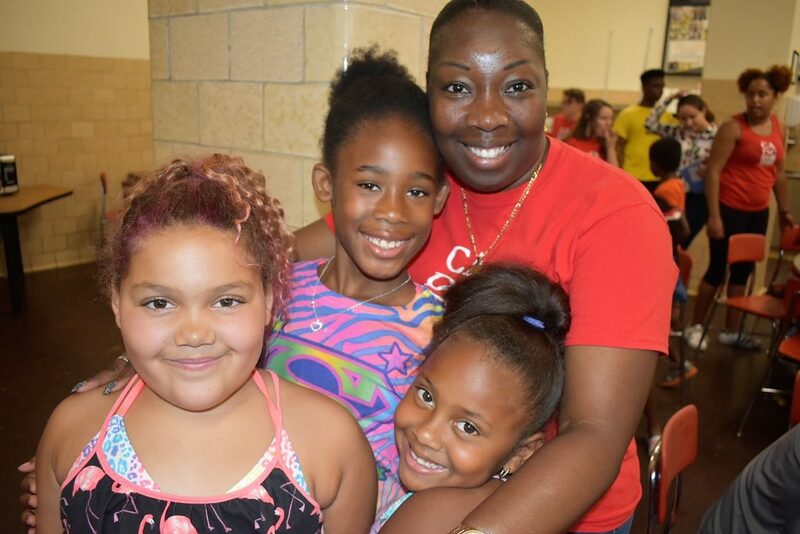 CCA also pays for kids from under-resourced families to attend day and overnight camps throughout New England. At Cambridge Adventure Day Camp, kids enjoy a multitude of activities at the camp’s headquarters, Matignon High School in North Cambridge. They also get to go on frequent field trips; favorites include the science museum and local rock-climbing walls. The walls of Matignon are lined with posters illuminating various themes in social justice. 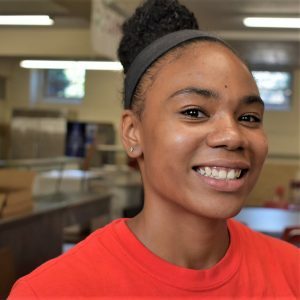 Kim Hurdle, a Boston University School of Social Work student, who now works as a counselor at the camp, says she appreciates the opportunity to teach kids about the social justice themes she’s learned about in college. Dave Hannon has been on the board at Cambridge Camping for the past 15 years. He trusts the organization to provide “a positive, consistent experience for the kids at very low cost, which is trusted by the community.” Parents know the organization and trust it to provide a safe haven for their kids during the summer. A born-and-raised Cantabrigian, Dave understands firsthand the importance of enriching programming for kids. “It’s all about the kids,” he says.